Self nominated candidates aiming for seats in upcoming legislative elections never expected their path to be easy, and so it proved when the first of the independents underwent a mandatory vetting session. His candidature was overwhelmingly rejected at a “public meeting” organised by the authorities, while his supporters were pelted with bomblets of malodorous shrimp sauce. Hoang Van Dung, 37, a human rights activist in Ho Chi Minh City and member of the Vietnam Path Movement, was invited by the Fatherland Front to a “meeting with constituents” at 7pm on Monday (March 28) evening. The Fatherland Front, a Communist party proxy, is responsible for the various stages of vetting that must be undergone by prospective candidates for the National Assembly elections in May. Despite claims that the process is impartial, some 50 of Dung’s supporters were denied entry to the meeting, which was held at a school near his home. They were physically barred at the entrance by dozens of police officers backed by “Dan Phong” or civil order defenders. Even his wife was refused entry. Dung, meanwhile, was subjected to a public haranguing by constituents selected by the Fatherland Front. As tension built up outside the school, a group of young men drove by on motorcycles and rained down bags of the oozy and pungent shrimp sauce on the crowd of Dung’s supporters. The crowd appealed to the police present but they declined to act, or comment on the assault. 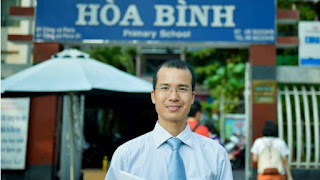 Before the meeting Dung had put out an appeal to constituents, outlining a platform would focus on human rights, allowing freedom of assembly and providing free primary school education. However, after a two hour meeting, Dung won only 4 out of 57 votes. The meeting was taking place behind the closed gate. Candidate's supporters were kept out despite their objection. He said the meeting amounted to a public denunciation where many of the attendants were strangers to him. He said he was labelled as an anti-state activist unsuitable for public office and was given no opportunity to speak. His overwhelming rejection in such a forum bodes ill for the other 100 independent candidates, who are seeking to challenge the party’s monopoly on power. Few hold out must chance of winning a seat, but they say they want to draw attention to the party’s manipulation of what is claimed to be a democratic process. 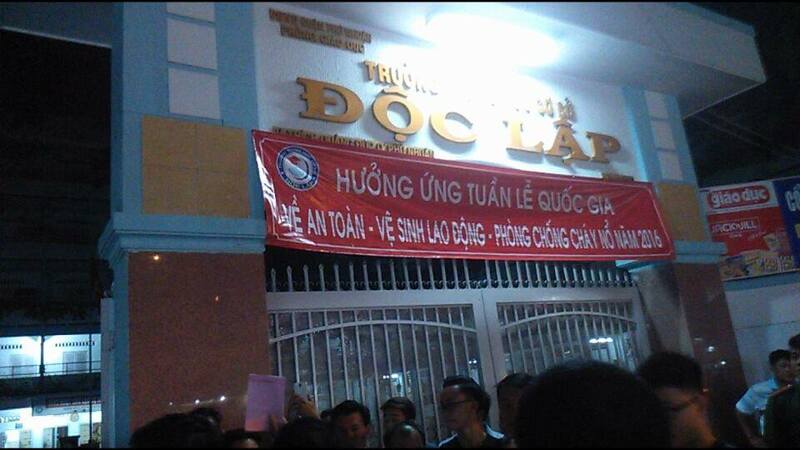 It’s not the first time that democracy advocates in Vietnam have been subjected to ordeal by shrimp sauce. On December 10, 2013, suspected plainclothes police threw bags of the stuff at members of the Network of Vietnamese Bloggers while they were gathering in a central park in Ho Chi Minh City to celebrate human rights day. The tactic has also been used against activists in the north of the country.